Our Service Professionals are Exceptional! When you need service, Rick's Appliance & Home Furnishings is the only name you need to know! We offer prompt and professional service at competitive rates. Our Factory Trained service techincians are just a phone call away. Call the company your friends and neighbors have been depending on for years, Rick's Appliance & Home Furnishings located in downtown Mora. 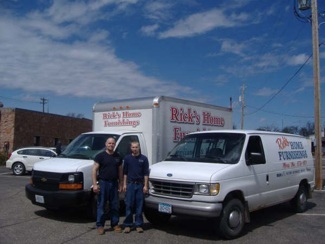 For Prompt & Dependable Service from a name you can trust...Call Rick's!